Fans of Little Inferno can rejoice! Tomorrow Corporation, a small studio comprised of former World of Goo developers, has announced its next game. For those of you unfamiliar with Little Inferno, it was an adorable and brilliant puzzle game where you had to burn a certain combination of objects in a fireplace in order to advance in the game. It was a pretty fun game especially if you’re a pyromaniac at heart. 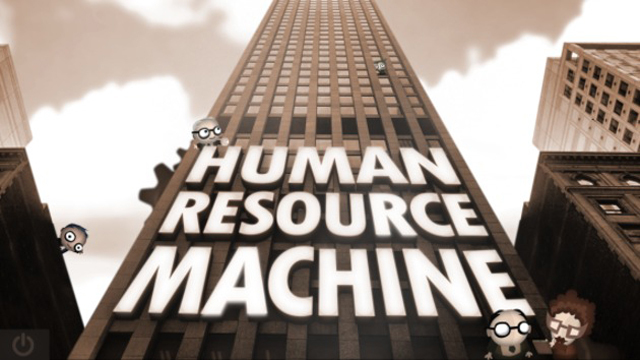 Human Resource Machine is a puzzle game for nerds. Use your little workers to solve each level’s puzzle, and get promoted up to the next floor. Repeat. Each level is one year. Self improvement tip: Our previous games have all taken 2-3 years to build so far. This one took only 9 months – as much time as it takes to build a new human – and it’s felt exciting and liberating the whole time. We hope you have as much fun with it as we have! Tomorrow Corporation has promised a trailer and other information soon. It’s unclear as to what platforms this game will be available on, but I can only hope that a Wii U version of the game is made. Are you excited about this game?